Hendrix On Ice : Blog Of The Nation I may have complained too soon about figure skating music... Did anyone else hear some Hendrix last night? Takahiko Kozuka finished the men's short program in 8th place. Wow. From my typing fingers to skaters' ears, yeah? 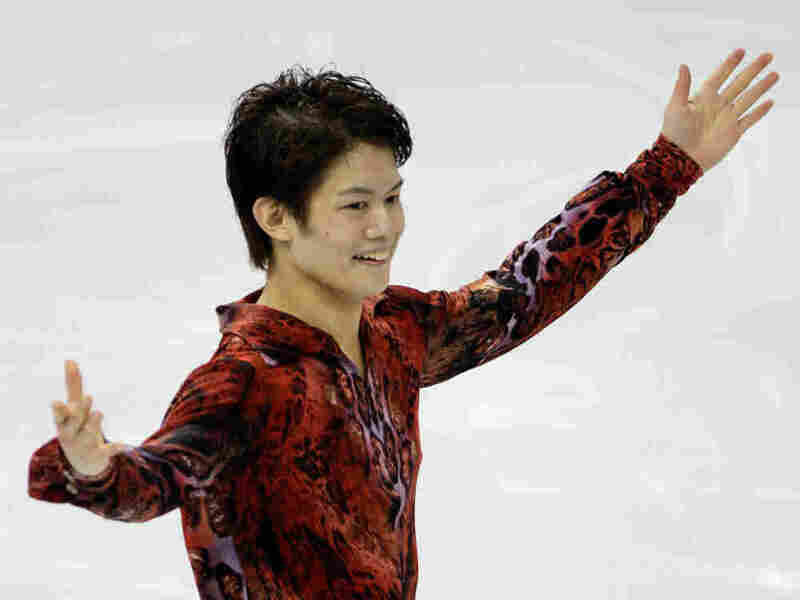 Last night, the men completed their short programs, and while I fell asleep just late enough to groan at Switzerland's Stephane Lambiel's selection -- the William Tell Overture -- I turned in too early to see Japan's Takahiko Kozuka skate to Jimi Hendrix! Now, I'm not the hugest Hendrix fan in the world, but that is definitely a step (a salchow?) in the right direction, as far as I'm concerned. I can't get my computer to play the video, but Twitter seems to suggest the selection was "Hey Joe," which I don't need to tell you is just cool. Also, I see Blog of the Nation commenter Janet M. reports "Vaughn Chipeur skated to Joe Satriani," and American Jeremy Abbott skated to Jeff Beck's cover of the Beatles' "A Day in the Life." Not too shabby. Maybe Johnny Weir's costumes aren't the only innovations taking the ice!